This is a general admission ticket. This ticket get you into the event on Friday night. Friday event: Gates open at noon, races start at 7 pm. This is a general admission ticket. This tickets get you into the event on Saturday night. Saturday event: Gates open at 9am, races start at 1pm. This is a general admission ticket. This ticket get you into the event on BOTH Friday and Saturday. Friday Gates open at 4pm, races start at 7pm. Saturday Gates open at 9am, racing starts at 1pm. This ticket allows you to be at the front near the starting line. Friday ticket only. Friday Gates open at 4pm, races start at 7pm. Saturday Gates open at 9am, racing starts at 1pm. This ticket allows you to be at the front near the starting line for BOTH Friday and Saturday. Weekend Pass. 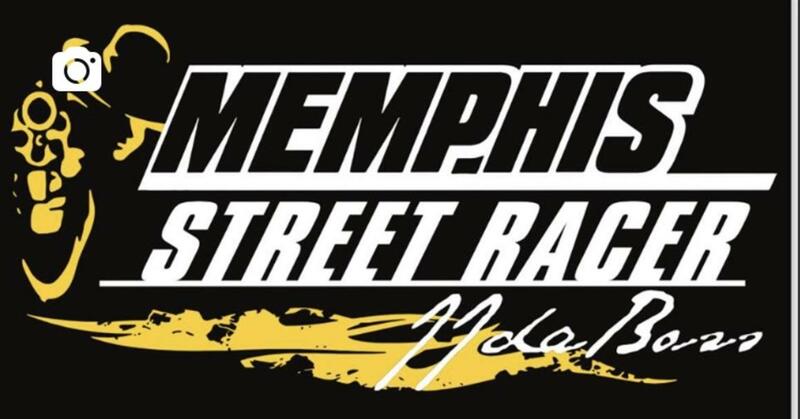 Hang out with JJ and the Memphis Street Outlaws for the weekend - Eat lunch with them, get to sit in the cars and get access to the Cast tent where you'll get free food and free drinks and hang with your favorite Memphis Street Outlaws. Also, get to attend the Test N Tune Thursday night open to drivers and "VIP Hang with JJ ticket holders." Children 12 and Under Tent Access Pass. RV/ Motorhome/ Camping Spot for the Weekend. This entitles you one spot to park a RV/Motorhome or camp in for the weekend. If you purchase an RV/Motorhome/Camping spot you must purchase a weekend ticket type as well for each adult that enters. FYI - Spots are assigned by purchase date. RV/Motorhome/Camping spots open at 12pm on Friday. Registration for the Small Tire Event with $10k guarantee. Registration for the Big Tire Event on Saturday with $10k guarantee. Door Cars only. Arm Drop, Chase is Race, Water burnout only. Cross center you lose, first is worse. All crew must purchase a separate starting line admission ticket. Entry allows for driver entry only. Test N Tune Thursday night before the event weekend. Car/Driver will be admitted to this Test N Tune night with purchase of Test N Tune ticket. Crew ticket for testing - allows access to the starting line. Come see JJ Da Boss and the Memphis Street Outlaws take on real street racers. No BS. Just straight up racing like it's supposed to be and you can be apart of it first hand. The experience is more than racing - it's a party with JJ daBoss. Bring your kids, lawn chairs, your coolers and be ready to have a good time and a lifetime experience. Thursday - open testing for participants in the JJ's Arm Drop - Gates open at 4 p.m. - on track 6 p.m. - 10 p.m.
Friday - Gates open at noon - Small Tire Race begins at 7 p.m.
Saturday - Gates open at 8 a.m. - Big Tire Race begins at 1 p.m.
Big Tire Rules: Door cars only. Arm Drop, Chase is Race, Water burnout only. Cross center you lose, first is worse. All crew must purchase a separate starting line admission ticket. Entry allows for driver entry only. JJ has final say on judgement call. One bye run per racer during the race.